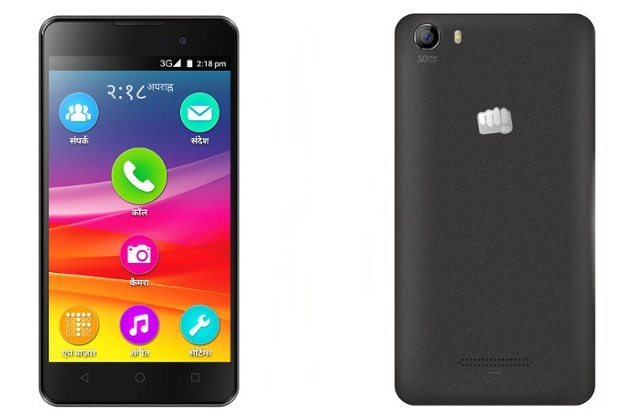 Hi Techies, In this post we will discuss Micromax Canvas Spark 2 Specifications, Price in India, Features & More. The Canvas Spark 2 Sports a 1.3 GHz Quad Core Processor, 5 inch display (Resolution 854 x 480), 768 MB ram. Talking about the camera it has a Fixed Focus 5 MP Rear camera with flash & 2 MP front camera. Comes with Android Lollipop v 5.1. out of the box. One of the cheapest 3 G Phone with Android v 5.1. Decent battery life. (324 hours of stand by time). Comes With First touch language solution. (supports various languages). OS Android OS v 5.1 (Lollipop). CPU/GPU 1.3 GHz Quad Core | GPU Mali 400. DISPLAY 5 Inch I.P.S LCD. Resolution 854 x 480 pixels (~196 p.p.i pixel density). CAMERA REAR 5 MP. Resolution 2560 x 1920. Fixed Focus with LED flash. | Features Touch focus, face/smile detection, panorama, Geo-tagging. | Video Features. 720 p @ 30 F.P.S, H.D.R recording | FRONT/SELFIE CAMERA 2 MP. NETWORK 2 G/3 G H.S.P.A+ Support. BATTERY Removable. Li-Ion 1800 m.Ah. STORAGE 4 GB Internal. Expandable Up to 32 GB Via micro SD Card. FEATURES Budget android with 3 G & Android v 5.1 | Supports multiple languages. | Decent battery. SENSORS Accelerometer, Gyro, proximity, Light Sensor. CONNECTIVITY Bluetooth v 4.0. | W.I-F.I 802.11 b/g/n. Hot spot. | Dual SIM (G.S.M). (SIM 1 Regular Size & SIM 2 Regular Size). The Canvas Spark 2 is priced at 3,999 Rupees in India. It will be exclusively available on Snapdeal. The Registration for the phone will start from 23rd September 10 AM. For the flash sale on 30th September 12 PM. Do share your views about this phone via comments below.